Students use taste papers to determine if they are PTC tasters. 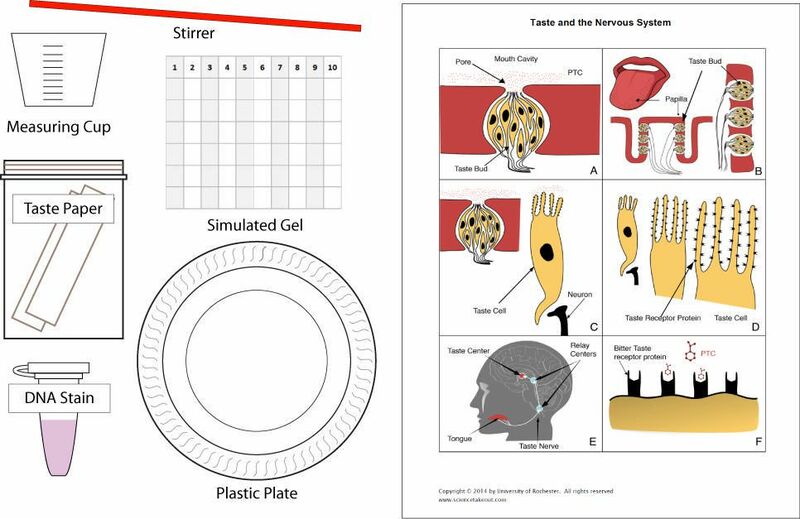 They also learn about the parts of the nervous system involved in tasting. To gain this understanding, they interpret a pedigree and a simulated electrophoresis gel to determine the genotypes of 10 family members. Ordering information: This complete experiment setup contains all materials and does not require lab equipment.